Mother Hen (one of my favourite sources for home style infant and toddler food) has recently launched a fantastic new program, Growing With Mother Hen. Growing With Mother Hen will provide families with organic seeds to help grow their child’s first organic garden along with a chance to win a $1,500 RESP. This inititative aims to help spread the word about the health benefits of eating natural food from the start and getting families involved with growing their own gardens. In order to participate, families can order their own garden starter kit from the website here. This program is offered free to parents! Plant your garden or potted garden. If you want a chance to win the $1,500 RESP, make sure to like Mother Hen on Facebook and then show of your little one in their Mother Hen garden by uploading your photo to their page! The deadline to submit photos is August 31st, 2014. The winner will be randomly drawn on September 2, 2014. Get growing and Good Luck! Our children are so precious and every time we place them in their car seats we trust those car seats to ensure their safety. But were you aware that the misuse rates range from 44% to 81% for car seats and 30% to 50% in booster seats (Canadian Paediatric Society). I don’t know about you but that statistic terrified me! Especially when considering that a properly used car seat reduces the risk of fatal injury by 71% and the risk of serious injury by 67% (Canadian Paediatric Society). Part of the problem (I believe anyways!) is that the car seats themselves are constantly changing along with the rules and regulations. To be honest, I had such a hard time installing our car seat that I gave up and asked my husband to finish it. I could not get the restraints tight enough no matter how hard I tried. 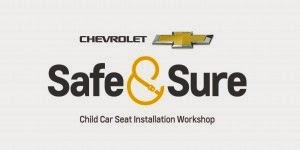 With those statistics in mind and child safety at the forefront, Chevrolet is launching the national Safe and Sure Child Car Seat Installation Workshop Program. Families can receive expert advice on installing car seats into any make or model of vehicle for free. Yup – for free.You can sign up for the free workshops at Safe and Sure. The workshops were piloted in Toronto during 2012 and 2013. Due to overwhelming positive response from parents, grandparents and caregivers (yes the program is open to any one who will be responsible for driving a child in a car seat! ), Chevrolet is working with Parachute to offer this program in three major cities. If you are not familiar with Parachute they are a charitable organization dedicated to preventing injuries and saving lives. They officially came into being in July 2012 and united the former Safe Communities Canada, Safe Kids Canada, SMARTRISK and ThinkFirst Canada. You can learn more about them on their website. With all of this in mind, our whole family headed out to Budds Chevrolet in Oakville to have our car seats examined and re-installed if needed. We were a bit worried that the boys would be bored but they were very happy when they received Hot Wheel cars! While I headed outside to learn about car seats the boys stayed inside checking out the cars and taking photographs of each one (no lie here – his favourite one is now our desktop image!). I learned so much this past weekend at my workshop. As well as learning the how to’s on how to ensure a snug fit with an inch or less movement at the base, I was able to get hands on with the representative and help out. Car seats have an expiry date! If the date is not listed on the actual car seat you can call the manufacturer directly to get the expiry date. Never use a car seat that has been involved in an accident. If you do not know the car seat’s history don’t purchase it (for used and borrowed car seats). Even with no visible damage, a crash can damage the integrity of the car seat. Never rush a child out of the booster seat. The booster seat works to position the adult seat belt over the strong bones of the body. Children should not move into a seat belt until they are 145cm (4’9″). Always make sure to check your provincial laws around booster seats. Only use attachments or cloth protectors under the car seat that have been tested with the car seat by the manufacture. Have you ever attended a car seat workshop in the past? Do you have any recommendations for first time parents out there? Do you suffer from dry skin? Eczema? 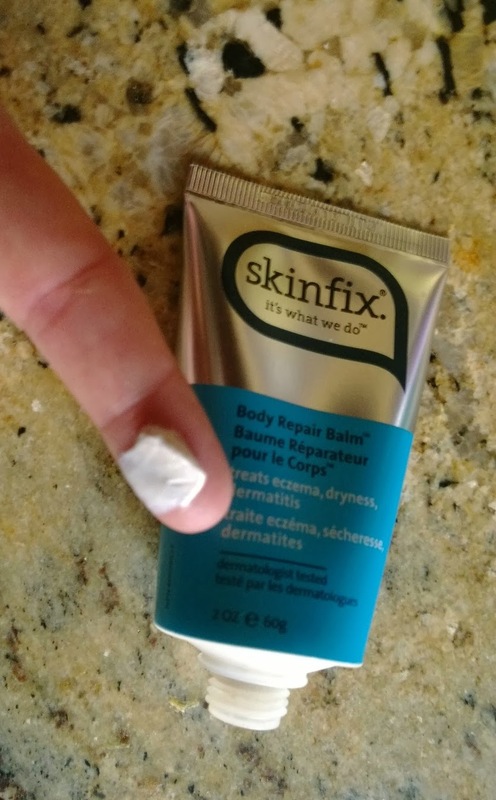 Are you familiar with the Skinfix name? Skinfix is a Canadian company who specializes in all natural balms for the entire family. The products are centuries old (they came over from England with family!) and are composed of wound healing botanicals and emollient protective oils. They provide instant relief while soothing and repairing skin affected by eczema, dermatitis, diaper rash, minor bedsores, adult incontinence rash, pressure ulcers and other common skin conditions. They can treat the acute flare ups but also chronic conditions. Skinfix has four all natural balms: Body Repair Balm, Diaper Rash Balm, Gentle Eczema Balm, Rapid Repair Balm. Their Body Repair Balm is used to treat dryness and irritation. Eczema and dermatitis flare ups tend to get worse in the cold weather. These conditions affect 1 in 5 adults! The Diaper Rash Balm is used to treat irritated and raw skin from the constant exposure to wetness and irritants. The balm is formulated specifically to safely halt diaper rashes on the spot. Have to add in the diaper rash balm is nut free! 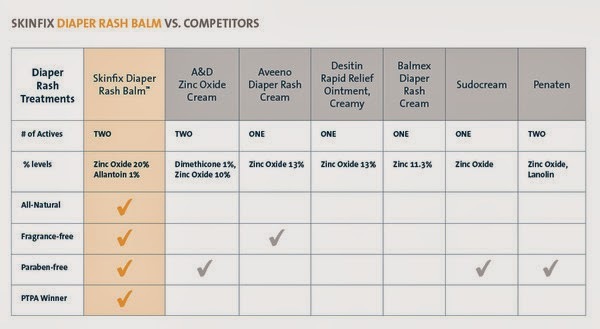 Check out the graph below comparing the most popular brands of diaper rash creams. You can find the original graph here. 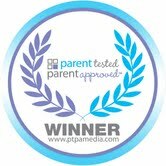 The Diaper Rash Balm is also a PTPA Award winner! The Gentle Eczema Balm is perfect for the red and itchy rashes that affect at least 20% of newborn babies. The balm is formulated for their delicate skin and helps reduce chronic flare ups. It is infused with oatmeal and is nut and soy free. Their Gentle Eczema Balm is also a PTPA Award winner! The Rapid Repair balm helps to sooth and protect skin from wetness, friction and irritation. This balm is perfect for the everyday skin conditions. These skin conditions range from skin chafing, wetness in skin folds, minor burns, razor burns and post waxing. My favourite features of Skinfix are the thick texture of the product which allows you to feel it working. Only a small amount is needed each time – a little truly goes a long way with these products. Since they do not contain water like moisturizers they last on the skin longer and less is required. It is all natural (such a bonus!) and no steroids. Skinfix products are dermatologist tested, pediatrician tested, steroid free, fragrance free, gluten free, paraben free, phthalate free and BPA free packaging.You can purchase them online here. 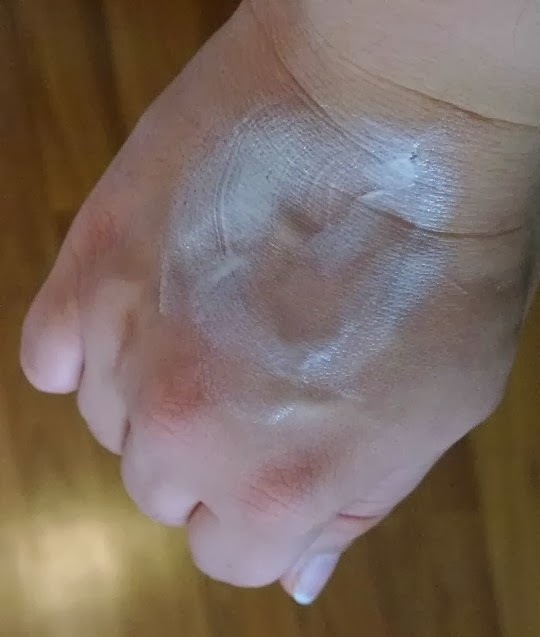 Disclosure: I am a Skinfix Ambassador. I received no compensation for this post besides bringing a fantastic product to you! Clicking on the above links will take you to my affiliate page but I receive no compensation from this unless an order is placed. There are only a few brand names that come straight to your mind when the words baby and toddler are brought up. These brands are trusted in the baby world because of their commitment to quality, safety and value. Fisher Price is one of those leaders! Fisher Price has released a new bath line geared towards babies and toddlers. I was stoked when I was given the opportunity to try out these products on my own babies (well one toddler and a nine year old who will forever be my baby!!). I have a weakness for bath products. From the smell down to the way it feels on the skin. I had to open these gorgeous looking containers right away and I was right – the smell was divine! Nothing overpowering or fragrant but the perfect baby smell. Their bath and body line up contains a perfect range of selections from newborn right up toddlers. They definitely have you covered for all of your baby to toddler needs! I love that you can purchase from one line but you have the ability to use it on an older child as well. 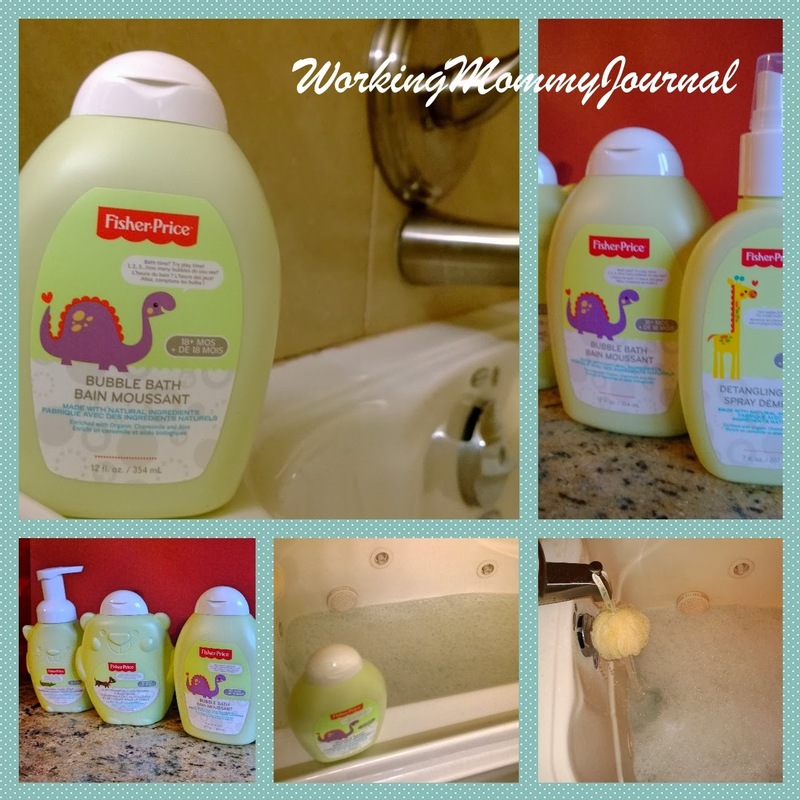 Perfect for all of us parents out there that have more than one child and do not want to have multiples bottles of bath products lying around! 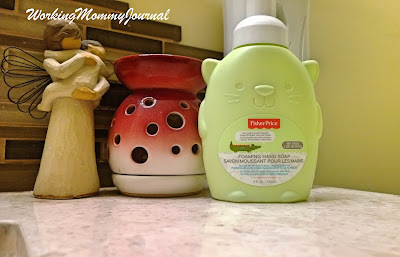 The part that I love the most about these products? Their Bath & Body line are gentle, natural and made from organic ingredients. They contain shea butter, aloe, chamomile and are hypo-allergenic and dermatologist tested. For this mom with two children that both have eczema this is important to me. Even better the line contains no dye, parabens, phthalates, talc, isopropyl, triclosan, benzyl alcohol or SLS. Our little ones loved bath time! The bottles come in the most fantastic and adorable animal shapes. They insisted on a Bubble Bath the very first day and how could I resist? The Bubble Bath product produced a perfect amount of bubbles that lasted nearly their whole bath time (although to be fair they were in there in for almost thirty minutes not wanting to get out!). All of the products had the most heavenly smell without being too strong or fragrant. To me it reminded me of that just home from the hospital baby smell! The type of scent that just makes you want to keep sniffing your babies! 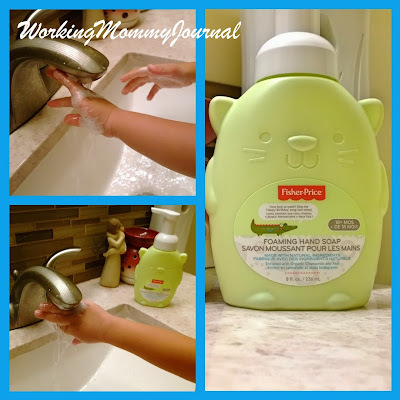 Both of our boys were huge fans of the foaming hand soap. The pump was easy to use, foamed up nicely on their hands and cleaned them right up! My favourite part of the foaming hand soap? How nicely it’s neutral colours fit in with our bathroom colour scheme! The Fisher Price bath and body products are also PTPA award winners! Which means they have met the highest standards possible – other parents like you! 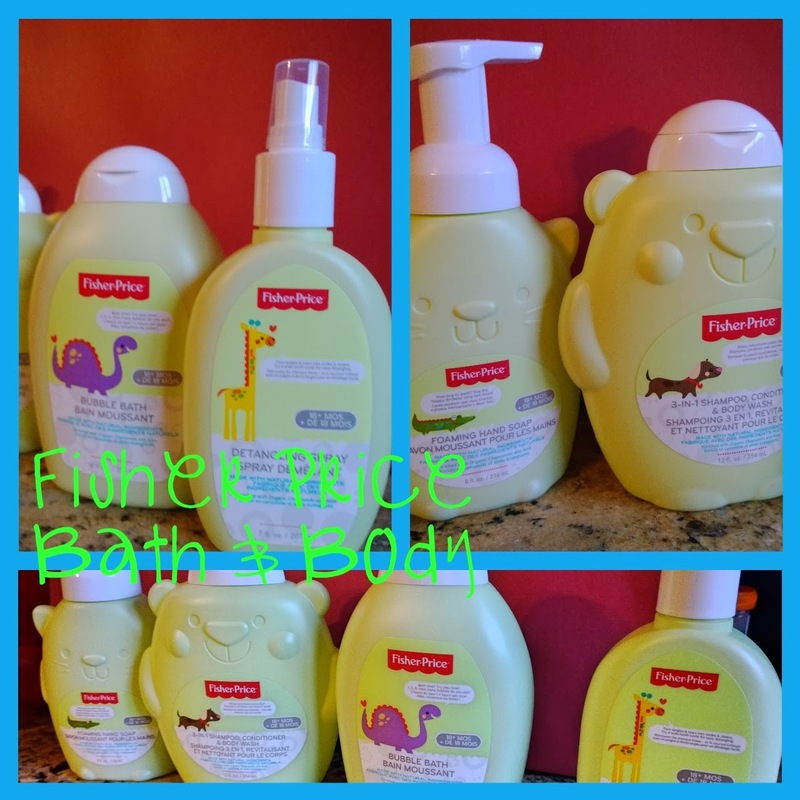 The Fisher Price bath and body line are now available in select Babies R Us, Loblaws and Rexall locations across Canada. Prices range from $3.99CDN to $8.99CDN. Do you want to win the complete line up of Fisher Price Bath and Body Products? Now you can! This giveaway is open to Canadian residents only, 18 years of age and older. Disclosure: I received the above pictured products for free as part of this review. All opinions expressed are my own. Mother Hen: Food for Your Family Just Like How You Would Make! 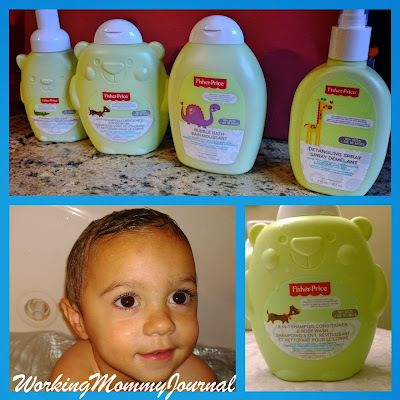 For the past three weeks, my family and I have been trying out Mother Hen products both on our youngest and immediate family (we babysit a lot!!). I had been hearing a lot of very positive comments about Mother Hen Junior food products and seeing their products in store but had yet to try their products – I usually prefer to prepare my own infant food for my children. When PTPA asked for parents to test out these products I was happy to give them a try. Mother Hen products have their roots in Montreal founded in1994 and are based on three principles: healthy, high quality and food cooked just like at home. Mother Hen focuses on baby/junior foods as well as fruit sorbets for the whole family. What stuck out the most to me with Mother Hen is their emphasis on quality. Each product you purchase for your family is: organic, natural, no additives and allergen free (you can find more info here). They have a wide variety of choices for your children inspired by European dishes – some that stick out in my mind the most are Beef Parmentier, Veal Ragout, Lamb and fruits and Parisian Turkey. Sounds delicious doesn’t it?!! I love to cook my children their own food. When my eldest son was an infant I made all of his own baby food and froze it even though I was completing my undergraduate degree and working at the same time (which meant a good portion of my week was spent outside the home or studying!). I was worried about the ingredients in some of the baby food products and to be very truthful I truly enjoyed making his food (it made me feel good!). This has held true for my second son as well. With my second son I have found not only am I in more of a time crunch, I had to re-purchase a good blender, containers, mixer, etc.. I did not realize how much extra work one little body could make in our family! My decision to provide our family with high quality foods did not waiver though. 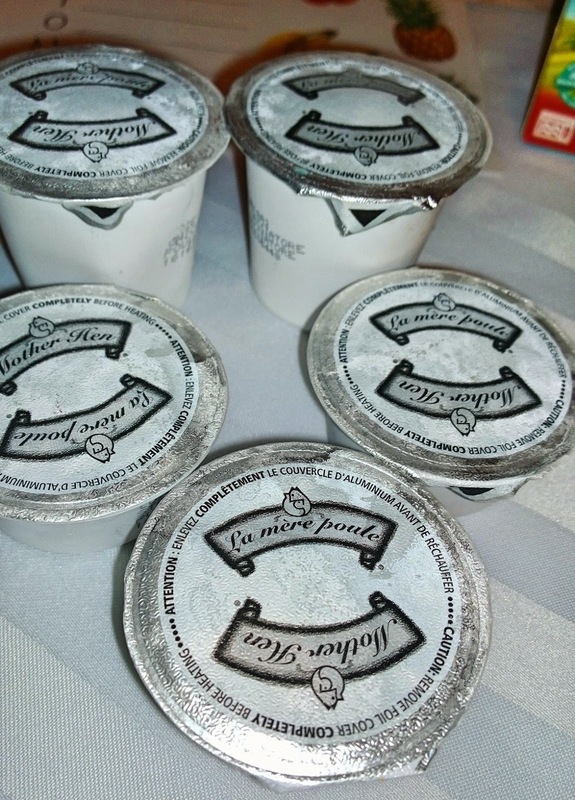 We picked up three boxes of Mother Hen products to start with: Parisian turkey, chicken cacciatore and pear puree. The boxes ranged in price from $4.99-6.99 and were easily found in the frozen food aisle at Walmart (in their own little freezer apart from the other products). What I did not realize when I picked them up was each fruit box contained six individually packed containers and the meat products had four! What I had originally thought was a bit pricey actually works out on par with the other organic baby products which can range from $0.99 (on sale) to close to $2.00 (I used Walmart to compare these prices but I am sure you are all more than familiar with the high price of infant/junior food!). The container sizes were perfect for our little testers – each container contained a perfect amount to give to both of our testers without wasting any of the food. It was easy to remove from the box, warm up and serve. What impressed me the most was how similar the food was to anything that I have made for my own family at home – from the fruits to the meat products (although my children would never have tried pork and leeks before this!). I really felt comfortable, happy and impressed that the food I was serving to my children was of high quality with no additives. You can taste the real flavour of each product. They loved every bite. I could not have been more happy with our trial of the Mother Hen line of products. Growing up we drank a lot of fruit nectar drinks and we made an experiment using the pear and mango purees. We watered them down slightly and created our own fruit nectar at home out of fruit and water! Here is another little tip for picky eaters. As your child grows and you are worried about their intake why not try using one of the meat and vegetable purees (like the chicken cacciatore) as a sauce on pasta or even on top of another grain like rice. This was the only way I could ensure my eldest was having an adequate intake of vegetables and meat when he was little. You can purchase Mother Hen products at Shoppers Drug Mart, Metro, Walmart, Fortinos, Longos and many other retailers. To preserve the high quality of their products they are frozen so make sure you check out the freezer section (or in Shoppers Drug Mart’s case they are in a little freezer chest in the baby aisle). Shoppers Drug Mart even has buy one get one coupons out for their products right now! I was very excited to find out that Mother Hen received the PTPA winner seal! It is definitely very well deserved! You can find Mother Hen on Facebook and Twitter – make sure you connect with them! Also check out their website, they even have a healthy recipe section! If you have not yet signed up to be a parent product tester make sure you do. I was very happy to be able to participate in this product testing and have in turn found an excellent product that I will continue to purchase! This is one of my favourite things about PTPA – finding excellent, high quality products recommended by the best people able to give advice – other parents! You can sign up here.